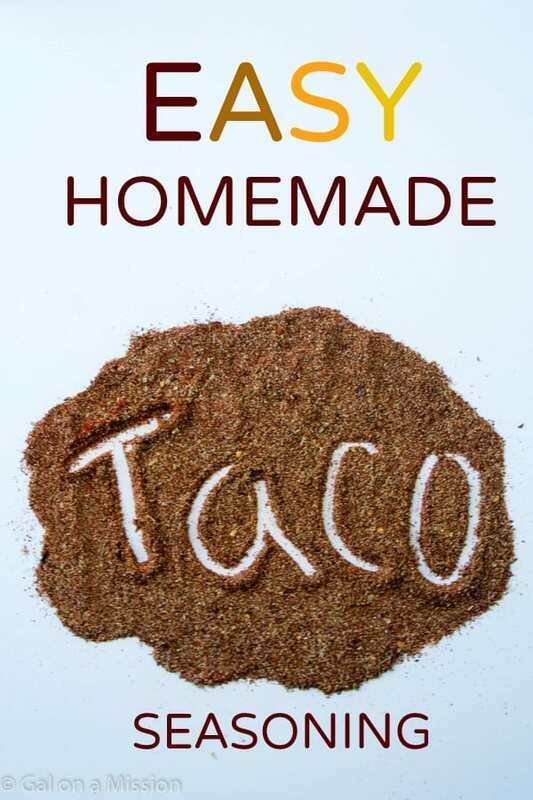 An easy and delicious homemade taco seasoning recipe that will make you forget the store-bought kind! I love being able to make traditional store-bought items at home. For one, you know exactly what is in it and you can add or omit things as well to suit your taste. 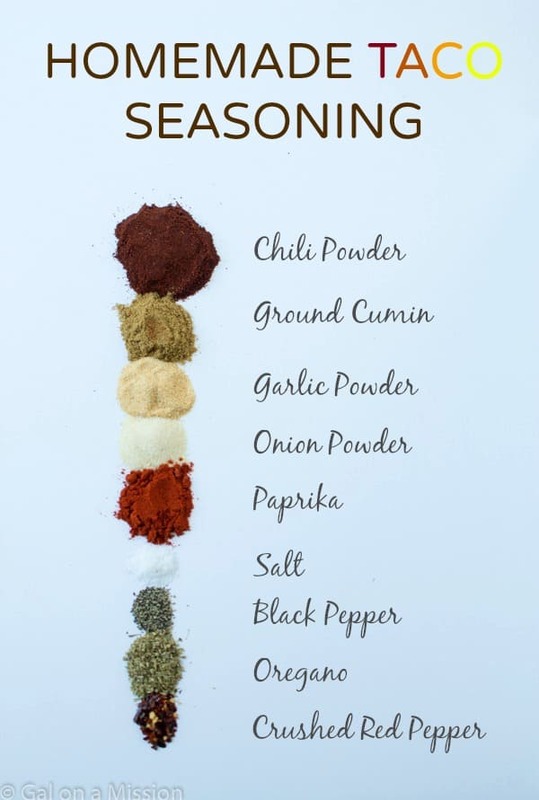 Let’s take a short break from taco talk, well…I know how much everyone loves tacos and taco seasoning. If you have any children, have they gone back to school yet? The schools where I live start the day after labor day and that falls really early this year. I do not remember it being this early. It’s usually the 7th. Okay, back to taco talk. I know some recipes call for sugar, flour and/or cornstarch in their taco seasoning, but I think it tastes just fine without them. Since we are slowly trying to cut down on the sugar and starch intake, I really love it without those things. Just a little bit healthier! You shouldn’t have a problem making this recipe at all because it only contains every day ingredients that most people already have in their pantry. I have always purchased the huge containers of spices at BJ’s/Costco and they last forever it seems like. If you use a lot of taco seasoning, you can always double the recipe. Just remember that you will only need to add 1-2 tablespoons per 1 pound of meat. Combine all of the spices together in a jar, like a mason jar, and shake until everything is mixed. Serve 1-2 tablespoons with 1 pound of meat. I’ve been using this recipe for years now. I’m now up to make 8x at once! Thank you! Yay! So happy you’ve enjoyed the recipe, Kelly!